This is a very good sign. There has been a lot of work getting the espalier apple trees in order this season. We’ve spoiled the trees in every manner imaginable. We started with two trees, noticed one was not doing well, removed it and replaced it with a new tree, built a support system to secure the branches and gave them a haircut. With all this work, we have kept saying one thing. “We better get some apples this year.” The good news is that it appears we may be in luck this season. 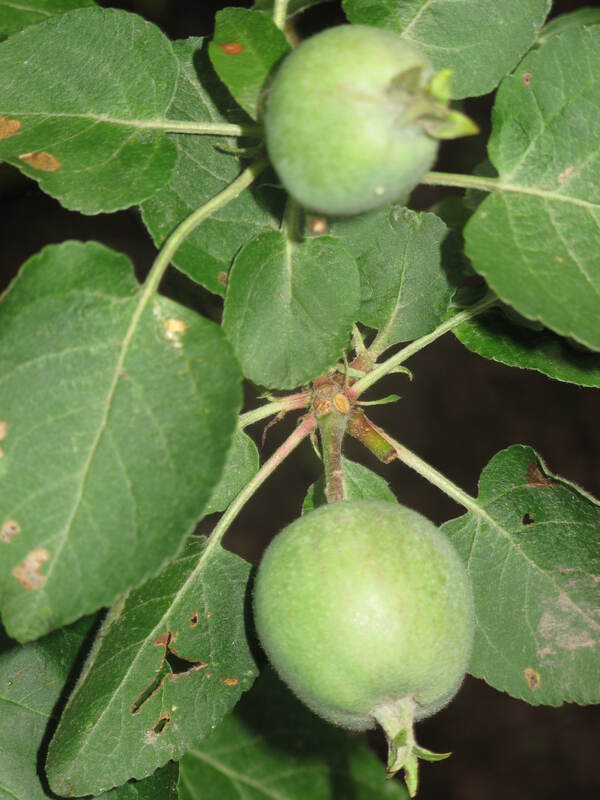 The trees are producing apples for the very first time. There aren’t a lot of apples on the trees. Probably 20 at the most. However, it is just nice to see your hard work pay off, especially in the garden where sometimes the harder you work results in some of your worst harvests ever. The trouble we are facing now is how to take care of the fruit over the remainder of the Summer. The last thing we want to do is have disease or insects take away our apples. We try to garden in an organic fashion as much as possible. 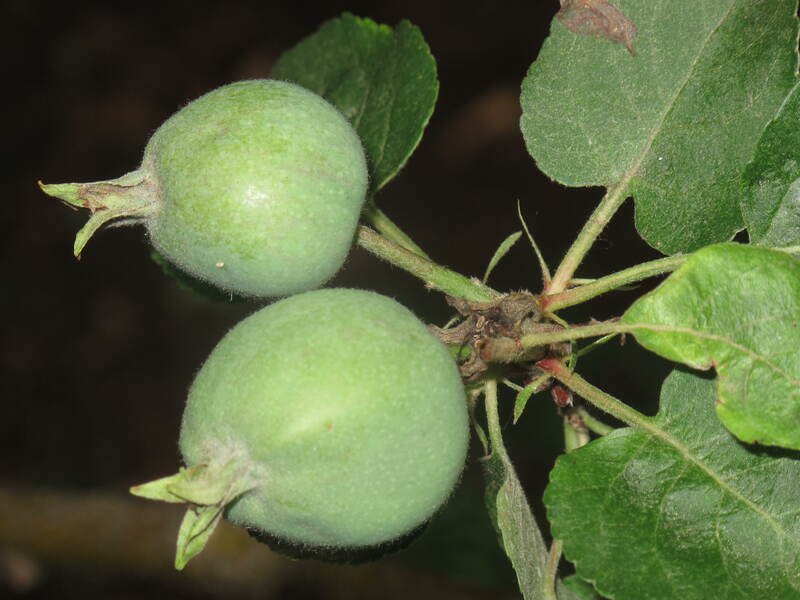 Many of the established gardeners here in Connecticut are telling us that organic is not going to cut it as these apples continue to mature. We will have to use some limited amounts of chemicals on them to keep them safe. Do you have any recommendations on how to care for the apples over the Summer using the least amount of chemicals possible? This entry was posted in The Garden-2011 and tagged Acorns, Beauty, Blog, Family, Food, Fun, Gardening, Life, Love, My Life, Nature, Photos, Spring. Bookmark the permalink. Glad that’s working out so well! Can’t wait to see how you use them come fall. Apple pie all the way!! I am really surprised you will have apples so soon after planting. Hi Carolkin. Yes, if the bugs don’t get them first.